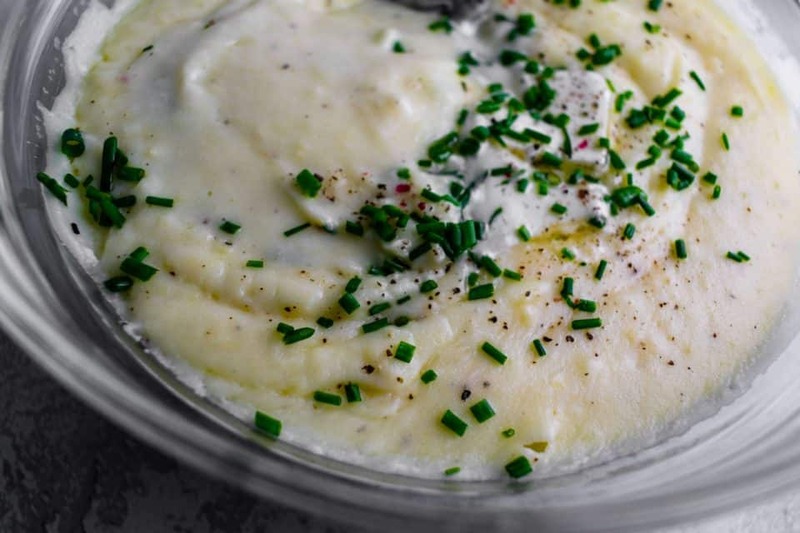 The Creamiest Mashed Potatoes made simple and boosted with flavors of sea salt, cracked pepper, butter, and chive. Here’s another side dish to add to your Christmas table! If my previous post was about glorifying fresh produce, this one may be the antithesis. 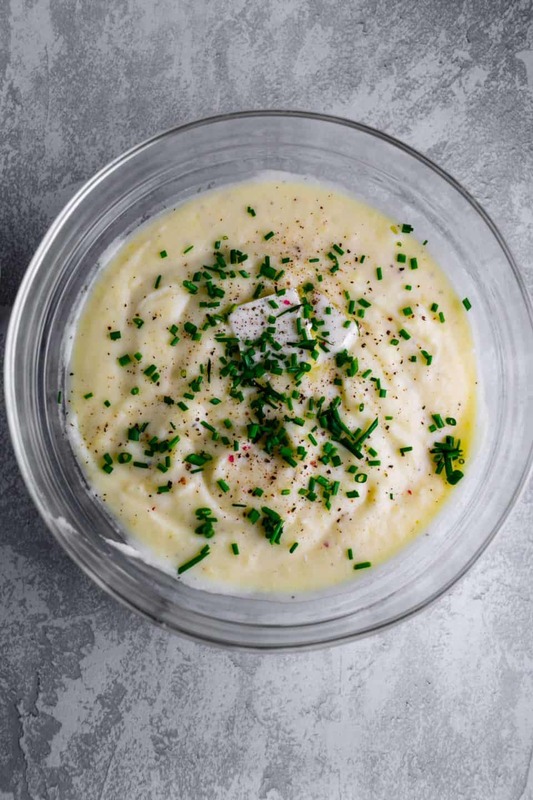 Straight up carbs blended to creamy perfection with all the comforts and nostalgia mashed potatoes should be. 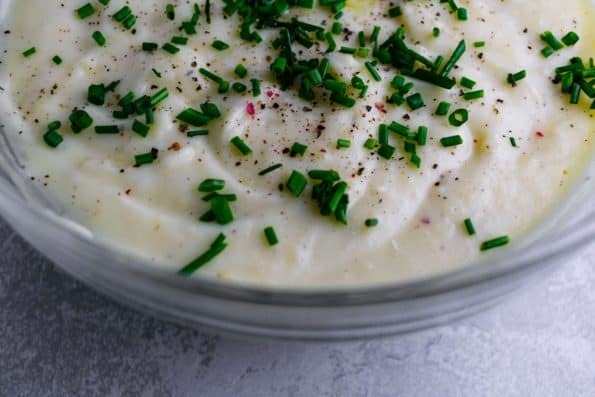 It’s got all the flavors you expect: butter, salt, and milk, but gets punched up with some surprises of cracked black pepper, cream cheese, and chives. Using the wrong kind of potato. 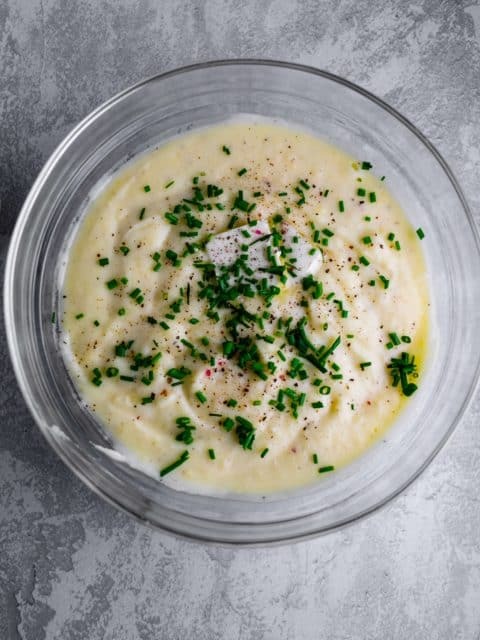 Yukon will give you that creamy texture. Russets tend to be a little bit gummy. Adding the potatoes to boiling water. Potatoes should always be added to COLD water first to make sure that you’re cooking the whole potato evenly; otherwise the outside will be done before the middle is. Beating with a handheld electric mixer for too long. This can also make your potatoes gummy! Once it’s smooth, turn it off. Being impatient. Yes, the hardest part is boiling the potatoes for about 20 minutes. If you’re really short on time, you can microwave them for about 3 minutes before boiling. NOTE: keep skins on if you’re going to microwave them or the outer layer of the potato will begin to cook. We don’t want that. Peel potatoes, add to a large pot of COLD water with 1 tsp of the sea salt. Bring this to a boil and let cook for 20 minutes, or until soft. Drain out all the water. Mash with a potato masher or with a fork until all potatoes are broken up. Add in butter, half the milk, cream cheese, remaining salt, and pepper. Blend everything with an electric hand mixer on medium for about 1 minute. If you would like them to be a less stiff, add remaining milk and blend. Top with chives & serve! You can make this ahead and reheat in the oven on 350 for about 30 minutes. This recipe will easily double or triple if you need to serve more than 4 people.